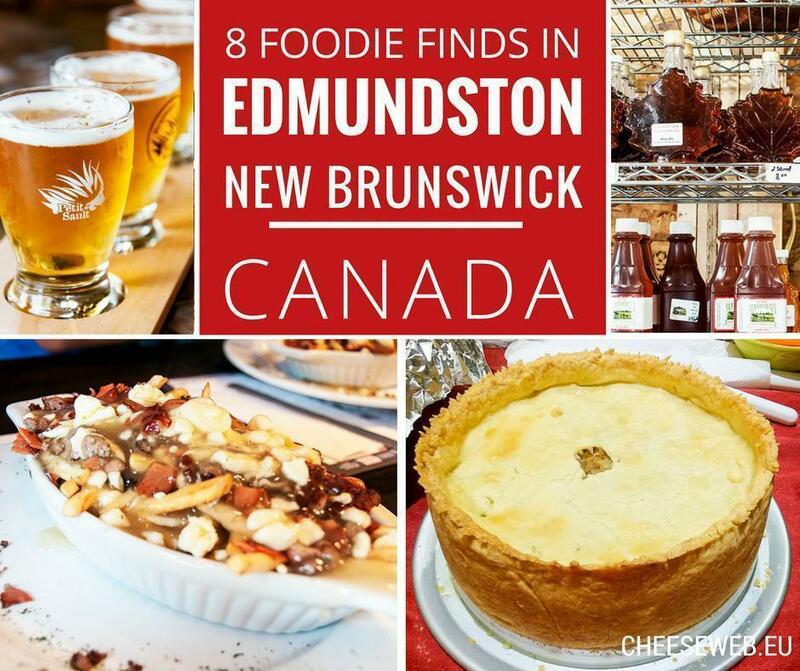 We taste our way around Edmundston following the Acadie Gourmet label and share 8 foods you have to eat in Madawaska County, New Brunswick, Canada. A few weeks ago, we shared 14 things to do in Edmundston covering a variety of travel styles. As you know, for us, one of the most important aspects of travel is food. Sampling local recipes and products is our favourite way to understand a culture, so it made perfect sense for us to focus our time in Edmundston on finding the best food. But how do we know where to find it? As writers, our first step in a new area is to contact the local tourist office for advice on where and what to eat. It’s a good starting point for any traveller. Of course, we always like to ask the locals we encounter what their favourite restaurants are and what we should order. Food is always a great conversation starter. But in Madawaska County, New Brunswick, it’s even easier to find high-quality local food products. 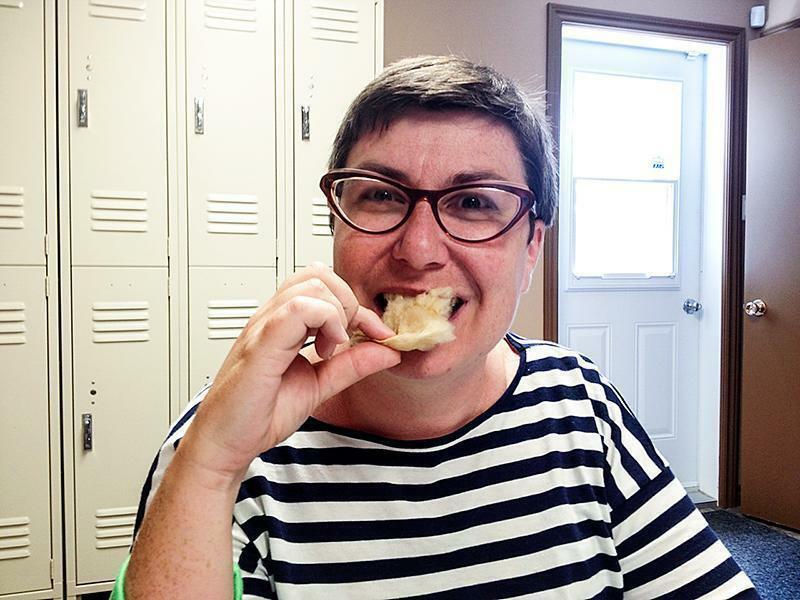 Edmundston Tourism, in partnership with Experience Acadie, (which promotes tourism in 6 francophone regions of New Brunswick, Nova Scotia, and Prince Edward Island), has created a special designation for the best local food in the area. 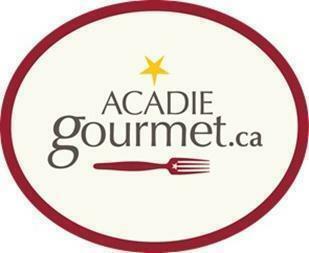 Acadie Gourmet is a collection of agribusinesses in Acadia of the Lands and Forest, encompassing Northwestern NB, Aroostook County Maine, and Témiscouata, Quebec. The label’s goal is to promote the quality, variety, and uniqueness of the region’s produce. You can find the designation on restaurants, farms, food processors, and shops around the Edmundston region. 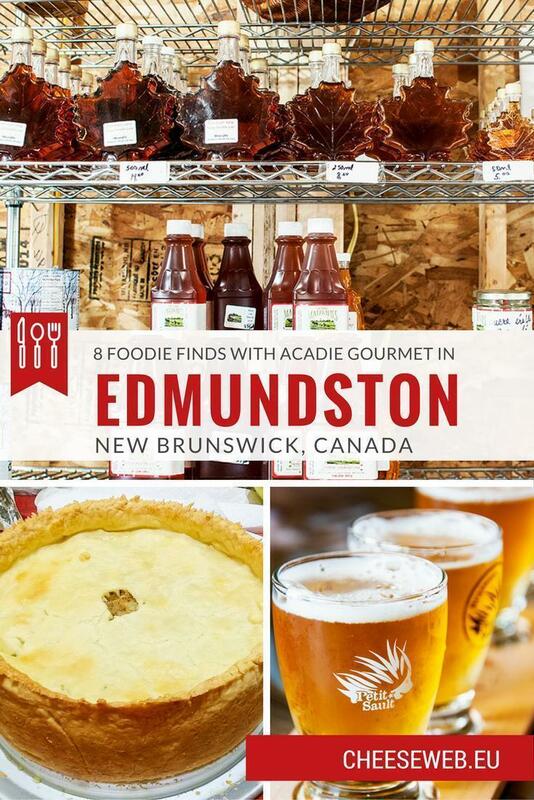 Today, we’re sharing 8 of our favourite Acadie Gourmet products you absolutely should try in Edmundston and its surroundings. It should come as no surprise; the iconic Acadian ploye is at the top of our list of things to eat in Edmundston. We loved these buckwheat pancakes so much we wrote a whole article about the making and eating of ploye. You can spot buckwheat growing around the Madawaska region, and ployes are a mainstay on restaurant menus. 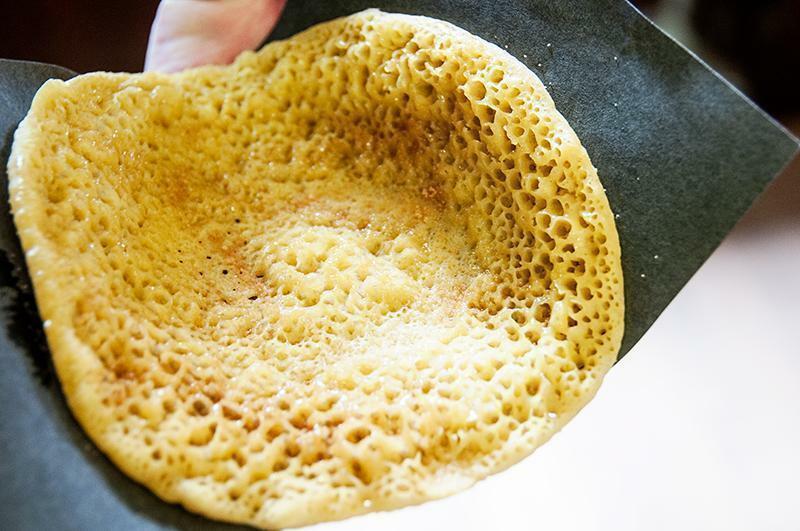 Of course, you don’t need to look farther than the Edmundston Tourism office to get your hands on a hot and tasty ploye, dripping melted butter and sprinkled with maple sugar. Sign up for their foodie walking tour, and you can end your experience on a high note with a freshly made ploye. You can’t have ployes (or anything in Eastern Canada really) without maple syrup, but there are many more maple products worth tasting. We’re big fans of maple sugar; crystallised maple ranging from finely ground to coarse flakes. You can use it as a healthier, less processed substitute for white, refined sugar in baking, sprinkle it on toast or ployes, eat it on ice cream, or use it to sweeten your coffee or tea. Andrew’s sweet tooth can’t get enough of maple butter, also known as maple cream. This spreadable maple syrup has the consistency of peanut butter and is eaten in much the same way. It’s made by heating maple syrup a bit above boiling and then cooling it while stirring constantly. It makes an excellent substitute for the icing on cookies and cake for a maple kick. Perhaps our most unusual (and tasty) maple discovery in Edmundston was Cloud O’Maple. 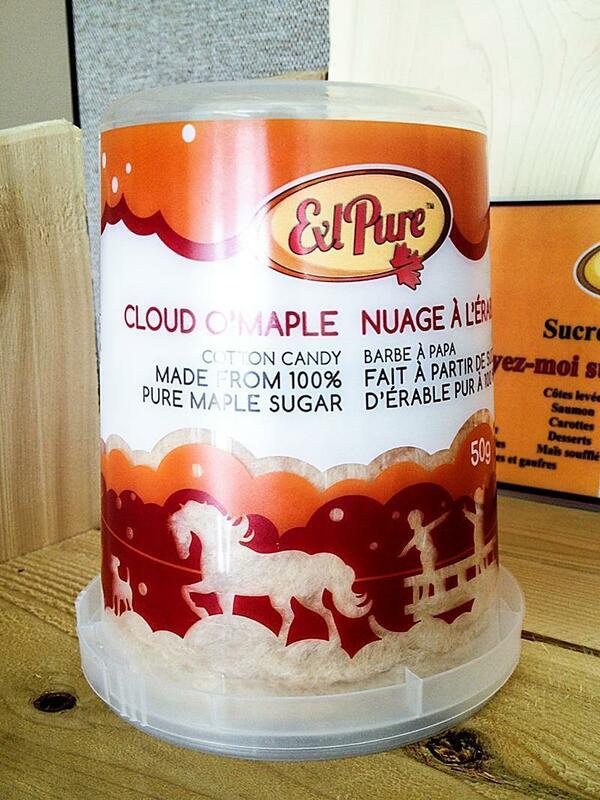 Think maple cotton candy and you have maple cloud, made by ExlPure. It’s made with nothing but pure maple syrup and has no additives or preservatives (but can keep up to a year if stored properly.) It’s a super sweet, delicious, and pure version of a childhood favourite. My first taste of Cloud O’Maple was love at first bite. 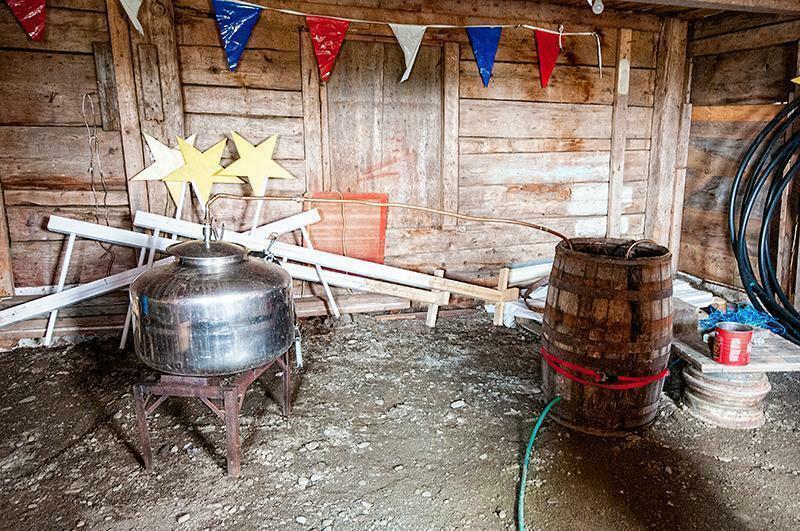 The best way to taste maple products is direct from a sugar shack like we did at Erablière Unique. 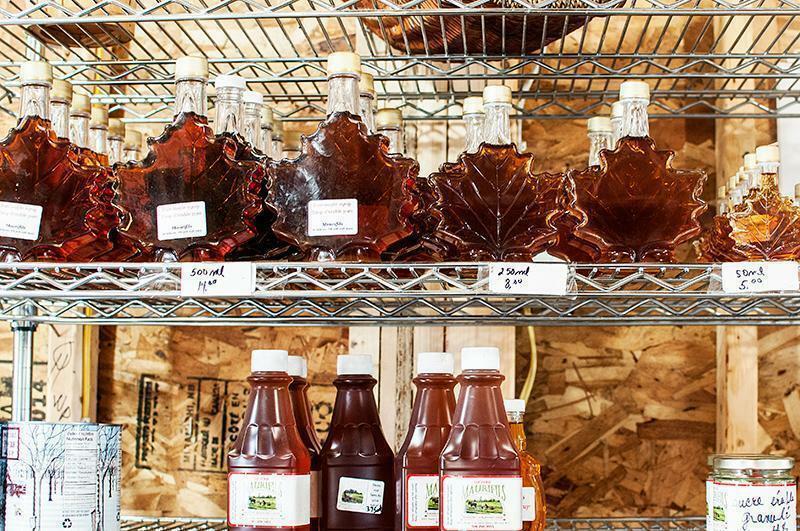 If you don’t want to brave the snow and cold during sugar season, maple products are available at just about every grocery store, boutique, and farm shop in the Edmundston area. Haskap berries were a new discovery for us. 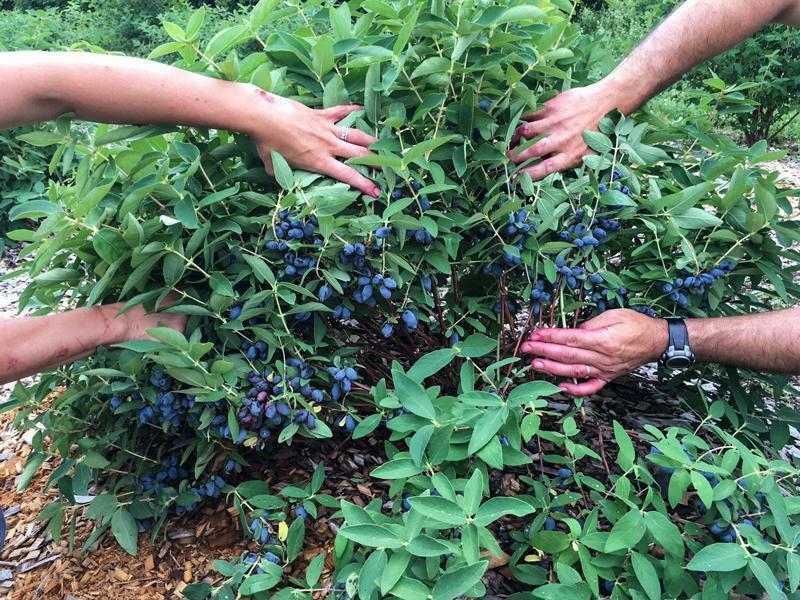 They look a bit like a long blueberry on steroids and are taking the Edmundston region by storm. 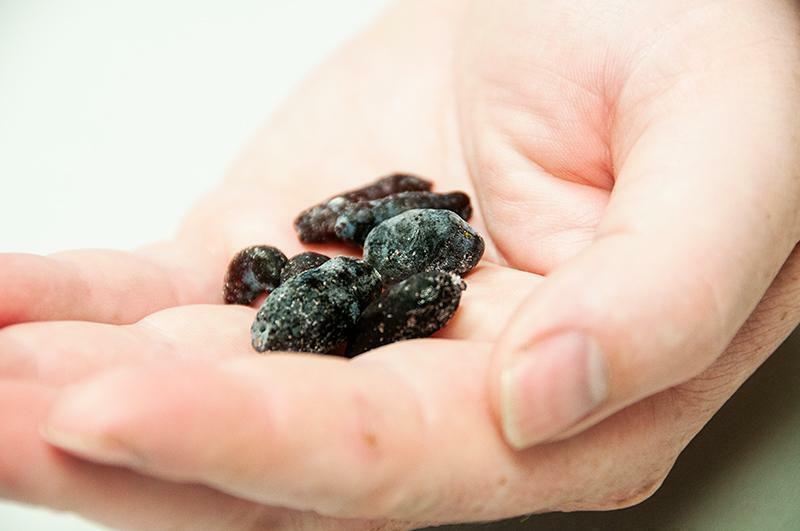 We visited COFNO, (La Coopérative forestière du Nord-Ouest ltée) the driving force behind the region’s haskap production to find out why these berries are the next trendy superfood. According to the Canadian Haskap Association, these little berries have more antioxidants than blueberries, more vitamin C than oranges, and are high in vitamin A, fibre, and potassium. They taste great too; like a blueberry and raspberry had a love-child. 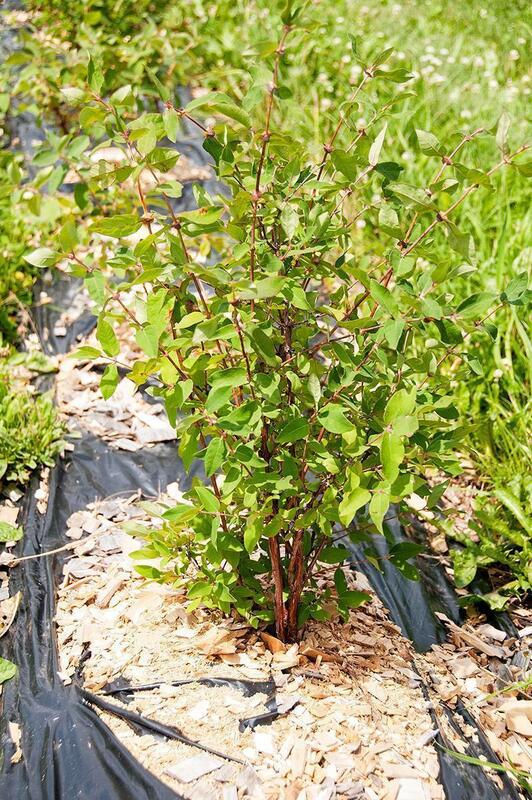 Haskaps are relatively new on Madawaska County’s agricultural map, but COFNO plans to produce a number of haskap products once the bushes reach their full production. Products we’ve seen from other companies include haskap juice, jam, sauce, even haskap wine. The tangy tartness of haskap also pairs perfectly with sweet maple syrup for a marriage made in foodie heaven. Of course, I’d be just as happy to eat a bowl of fresh, unadulterated haskap berries so I’m looking forward to seeing them available at farm stands in the Edmundston area. It may be a heart attack in the making, but Canadians love poutine! If you only know one traditional Canadian dish, it’s probably poutine. The iconic version of French fries, gravy, and cheese curds is available from coast to coast in Canada these days and is so ubiquitous you can even find (a terrible version of) it at McDonald’s. Just like pizza, now that poutine is a Canadian mainstay, you can find it with any possible topping you can image. Popular versions include ground meat, veggies, bacon, and a variety of cheeses. We’ve even had foie gras poutine. (It’s as decadent as you imagine). We Canadians can’t live without poutine and most foreigners think it’s an abomination. 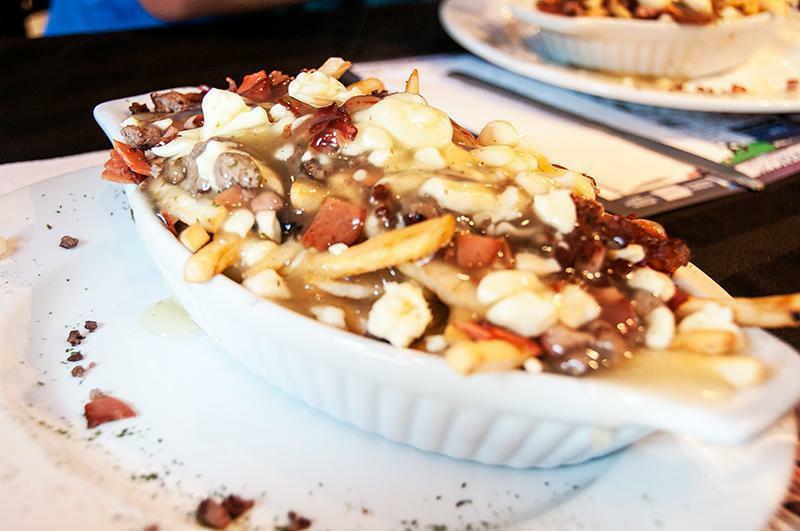 But do yourself a favour before you write off this heart-attack-on-a-plate and find a good version, made with fresh cut fries, homemade gravy, and actual cheese curds (grated mozzarella is just not right for poutine in my books.) It’s comfort food at its best. Just be sure to counter the artery clogging effects with a big glass of wine! Tourtière is a dense, spiced meat pie, said to originate in Quebec. Don’t be fooled. 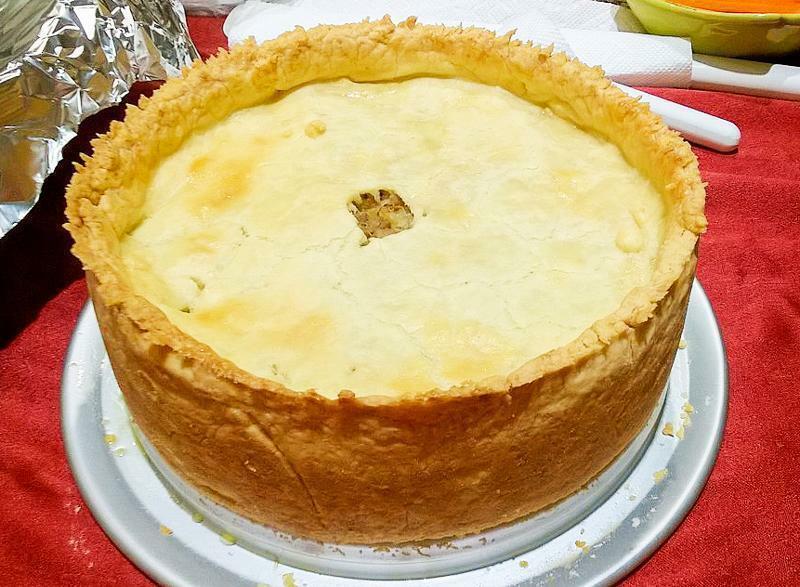 Acadians have been making tourtière since their arrival in Canada, and their version is unique. Like all good peasant dishes, the contents of tourtière varied widely based on what was available. Coastal regions include fish, while inland tourtière can be filled with any variety of meat or game. Besides our tourtière, we also picked up some homemade sausages from Maurifils Farms. Among other things, the farm raises lamb, and if you’re lucky, you might be able to get your hands on some fresh lamb sausage. Or stop by Acadie Gourmet listed Boucherie L. Ouellette, in Saint-Jacques, just north of Edmundston, where they offer 14 varieties of sausage. It’s one of our must-visit stops on our next trip to Edmundston. From the moment we arrived in Edmundston, Andrew was on the lookout for Petit Sault’s craft beer. He first discovered their stubby bottles at the Fredericton Craft Beer Festival, when I pointed out their adorable porcupine logo. He tasted a couple of their brews and was hooked. They’ve become his go-to New Brunswick beer. Luckily for Andrew, Petit Sault is unavoidable in Edmundston. From the moment we arrived at the Botanical Garden and met the man behind the caricatures on the beer bottle labels, to the appearance of Petit Sault at just about every restaurant and bar we visited. 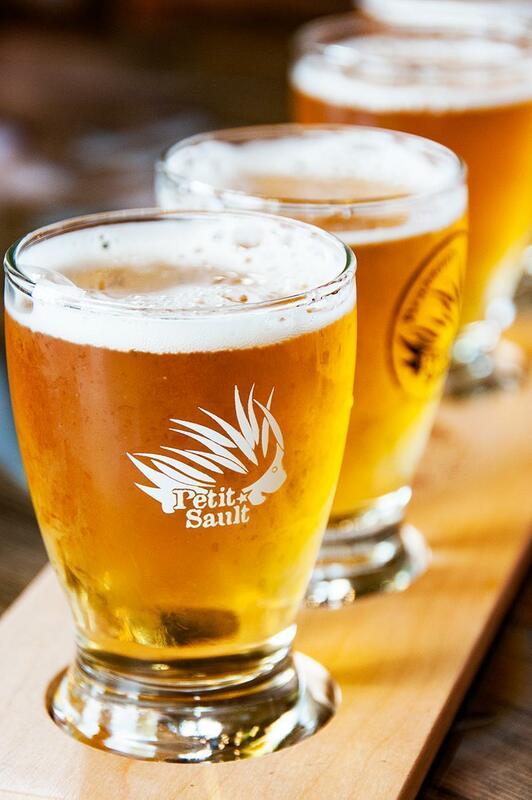 Of course, a visit to the Petit Sault brewery and tasting room in Edmundston’s downtown core is a must for craft beer lovers, and it’s a highlight of the foodie walking tour. Our Belgian beer fans will be pleased to learn Petit Sault’s beers are ‘Belgian inspired’ and feature Belgian yeast, but the malts and hops are from the Madawaska region. Once again we find a tie between our Belgian and New Brunswick homes! Andrew is not the only person singing Petit Sault’s praises. They’ve won bronze medals in 2014 at the Atlantic Canadian Beer Awards and the 2015 Canadian Brewing Awards as well as Bronze, Silver, and Gold in 2015 at the Atlantic Canada Beer Awards in the Belgian Specialty Ale category. This list is just a small sample of the tasty treats you can discover through Acadie Gourmet. We’ve already added more foodie destinations to our ‘to visit’ list for our next trip to the region; from maple wine to wild boar to more delicious restaurants. We hope we’ve whetted your appetite to discover Edmundston and Madawaska County’s unique culinary scene. Now that you know what to eat, don’t miss our thoughts on where to eat and sleep in Edmundston. Stay tuned for more from Madawaska County, New Brunswick, Canada. We’d like to extend our thanks to Tourisme Edmundston for hosting us in the area and allowing us to share our foodie experiences with you. As always, all opinions are ours alone.